BASS WORKS RECORDINGS Start The Party!! 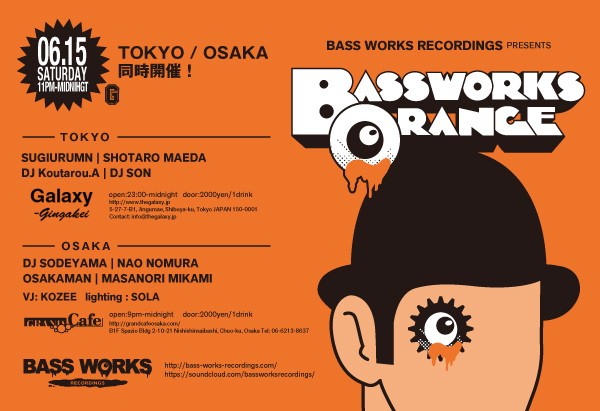 Party Name Is BASS WORKS ORANGE. 6.15(Sat), Tokyo / Galaxy, Osaka / GRAND Cafe. Both Tokyo And Osaka Is Hot DJs! !